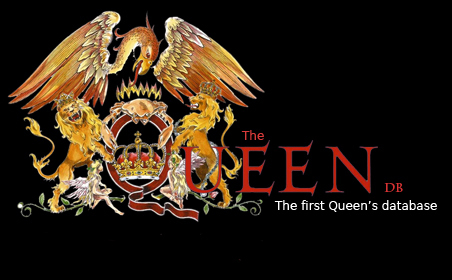 He was born as John Richard Deacon on 19th of August in 1951. John has been silent and shy from youth and in 1956 started to attend primary school. When he was 7 he got his first guitar. His interest was into electronics (with father's support) and in that time he started to consider his future employment. In 1962 entered the Gartree High School in Leicester. He was average student and as a big fan of Beatles started to learn to play the guitar. John saved money and bought acoustic guitar. Hard time came for him, because his father died. John founded his first own band when he was 14, named Opposition. He played the rhythm guitar and the band played well known songs on parties and at schools. The bass player left the band, and it was the point when John took a bass guitar. The band, now called New Opposition, played on parties, in clubs, restaurants and halls. John came to Beauchamp Grammar School in Leicester. He was still interested in electronics. The band went back to Opposition name, played even on RAF and USAF Bases in Molesworth. They earned quite a lot of money and bought own van. They changed name to Art and as the only one band in the neighbourhood started to use light effects. In 1969 John finished gymnasium and got on Chelsea College in London to study electronics. London was more important for him, so he decided to leave the band. Fully focused on studio John was attending some college concerts. One day in 1970 he saw also Queen band. He met Brian and Roger on disco and they asked him if he'd like to try it as a bass player with Queen. John was invited for rehearsal and was accepted. 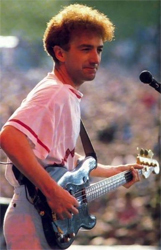 John Deacon was the fourth and last member of Queen group.